Several areas throughout Delmarva have been hit with violent storms producing heavy winds and/or hail. Damage to vegetable crops by severe wind and hail includes leaf defoliation, leaf tearing and shredding, stem breakage, stem bruising and wounding, loss of flowers and small fruit, and fruit bruising and wounding. 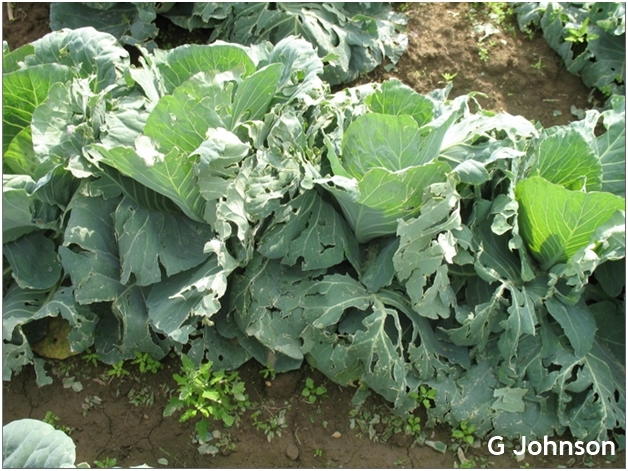 Effects of storm damage on vegetable crops and recovery of crops will depend on a number of factors including the type of vegetable, stage of growth, weather conditions immediately after storms, and prevalence of disease organisms. Continued hot, wet conditions after storm events pose the most risk by increasing disease incidence, particularly bacterial diseases. Defoliation reduces leaf area and plants will need to grow new leaves from buds (for vegetables such as vine crops where this is possible). It will take several weeks to replace the leaf area lost. This will cause delays in maturity. If crops are more advanced, loss of leaf area can reduce fruit or storage organ quality (reduced sugars). Fruit or storage organ size may or may not be affected. Leaf area recovery (growing new leaves) will be aided by additional nitrogen applications after the storm event. In crops such as sweet corn that cannot grow new leaves, research has shown that hail damage will reduce marketable ears and overall tonnage if leaf damage occurs in vegetative stages or at silking. Leaf loss near harvest will have minimal effects. Fruit bruising or wounding often causes the most severe losses in crops such as tomatoes. Fruits may be rendered unmarketable or of reduced grade. Wounds can also increase the incidence of some fruit diseases and storage rots. In particular, bacterial rots that normally are minimal may be increased in damaged fruits. In plants such as tomatoes, it is advised to remove damaged fruits from plants. These fruits are likely to be unmarketable and will just be a drain on food resources produced by the plant. By removing damaged fruits, remaining uninjured fruits will have access to more photosynthates being produced by the plant. Stem breakage or injury can lead to major losses in some fruiting crops such as peppers by loss of fruiting area as well as increased sunburn as plants are opened up. Many vining crops will recover significantly from stem breakage by producing new branches, although production will be delayed. Losses of flowers or small fruit may limit yield potential and delay crop harvest in many vegetable crops. Beans that are flowering are particularly susceptible and flower loss due to storms may lead to split sets. Damaged plant tissue also can affect healthy surrounding tissue. As cell contents leak, enzymes, oxidative compounds, and other reactive chemicals are released that can injury surrounding cells. Age and stage of development of plants will also be a factor in the overall impact of storm damage. A good example is with bean plants. In the case of hail, the bean plant is considered dead if it is in the cotyledon stage and is cut off below the cotyledons, or if the cotyledon is damaged by hail to such a degree that they have no green leaf tissue or re-growth. The reason is that nutrients and food reserves in the cotyledons supply the needs of the young plant during emergence and for about seven to 10 days after emergence, or until there is one fully-developed trifoliolate leaf. Cotyledons are the first photosynthetic organs of the bean seedling and are also major contributors for seedling growth. Unlike corn, whose growing point is below ground until it reaches V5-V6, the growing point for beans is between the cotyledons and moves above the soil surface at emergence. This makes beans particularly susceptible to damage from hail, or anything that cuts the plant off below the cotyledons early in its life. Stand reductions are likely to follow hailstorms. If the first trifoliate leaf is formed, photosynthesis by the developing leaves is adequate for the plant to sustain itself. Of immediate concern after storms will be bacterial diseases on susceptible crops. Bacterial diseases have been shown to be more severe after storm damage as they can readily enter through wounds. Including copper products in spray programs after storm injury is recommended to limit bacterial diseases. In North Carolina research, peppers were shown to have increased bacterial spot after hail. Use of copper fungicides with maneb limited the effect of bacterial spot in these hail damaged peppers. There has been some recommendation to use peroxide based fungicide/bacteriacide products after storm events. These products kill what they contact and have no residual. There may be some reduction in the numbers of disease organisms on plant surfaces; however, there is little research to show major benefits after storm damage. General recommendations for storm damaged vegetables are to first evaluate the extent of the damage. According to the stage of the crop and extent of damage, determine if the crop can be salvaged. Crop insurance adjusters are trained to evaluate storm damage in many crops and should be contacted immediately for insured vegetable crops. For crops that will be salvaged or kept, consider applying additional nitrogen to encourage new growth where appropriate. Apply fungicides and include copper compounds where bacterial diseases are of concern.